Working together, Printers Plus and our partners are making good on a commitment to be an environmentally responsible provider of products and services. Through print consolidation and placing energy efficient devices into your work environment we are reducing organizational footprints and improving environmental performance. From the way we deliver print reduction solutions with the environment in mind to how we ship our products to reduce materials all the way to the collection programs we provide and our environmentally progressive approaches to recycling. Since we're West Coast based we're passionate about preserving the clean environment and natural beauty in which we work and play every day. We have built our business on sensible alternatives that both help sustain our local and global environment and enable us to keep our prices low on high-quality products our customers can take pride in. All of our paper is recycled. All of our cardboard boxes are either re-used or recycled. All packaging materials are recycled. 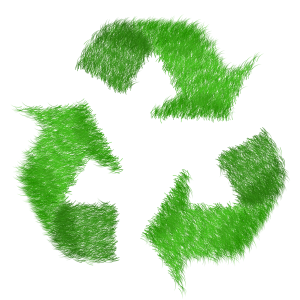 All used printers brought to us are recycled through Encorp recyclers. Centralizing printing services, sending and receiving documents electronically, double-sided copying will all reduce paper use and save money. Centralize printing stations in lieu of individual desktop printers to reduce unnecessary printing and reduce the amount of hardware and replacement toner purchased. Eliminate excess copiers and fax machines where possible. Set fax machines so that faxes are received electronically rather than in hard copy form. Print only as necessary. Specify a printer/copier tray for paper that has been printed on single-sided. Use for drafts and review copies. Make recycle paper bins widely available and visible for reusable paper at all printing/copying locations. Post educational fliers at every copier/printer station to encourage paper conservation. Publicize and explain the purpose of the policy to encourage staff cooperation and acceptance; educate staff to get on board for improved practices and to monitor progress. "Meeting the needs of the present without compromising the needs of the future”.